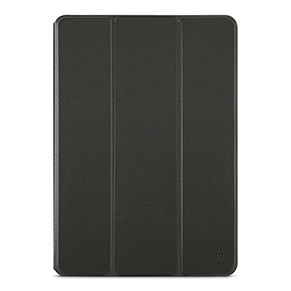 Belkin Tri-fold Cover for 9.7-inch iPad Pro is rated 3.5 out of 5 by 2. 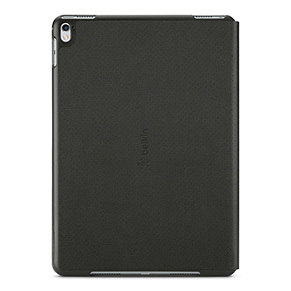 Tailor-made for the Tri-Fold Cover for 9.7-inch iPad Pro the ultra-thin and lightweight tri-fold folio cover is fashioned of super-soft, durable fabric and perforated for a luxury look and feel. 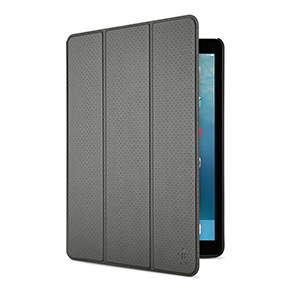 The velvety-smooth inner lining cushions and protects your screen. 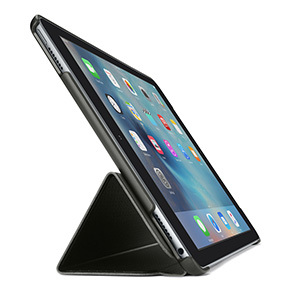 The Belkin Tri-Fold Cover for 9.7-inch iPad Pro even accommodates your picture-taking needs. A dedicated camera opening lets you take photos without having to remove the case. 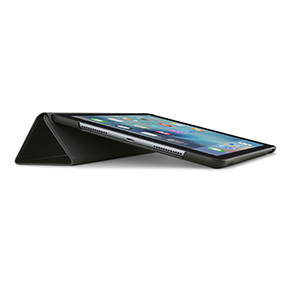 The tri-fold cover also serves as a convenient two-angle tablet stand. Place your tablet at the upright angle for comfortably enjoying movies or playing games, or tilt it back for increased typing comfort. Or you can choose to fold the cover behind the tablet for handheld use. Rated 2 out of 5 by C H W from Ok The product cannot stand like the picture displays.